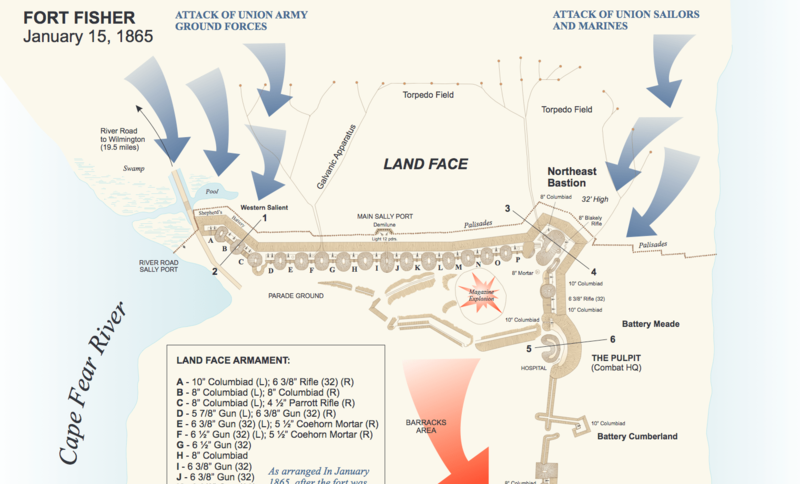 Federal forces began plans for a joint army-navy attack on Fort Fisher during the fall of 1864. Shortly after the southern forces learned on October 24, 1864, of the impending attack, Confederate general Braxton Bragg assumed command of the defenses of Wilmington. He superseded Gen. W.H.C. Whiting, who remained his second-in-command. The Confederates assembled 1,430 men at Fort Fisher in preparation for the assault. An additional force of 6,000 veterans from Lee’s army under the command of Maj. Gen. Robert F. Hoke were located 5 miles up the river at Sugar Loaf. The expected Federal fleet finally arrived off Fort Fisher on the morning of December 20 under the command of Admiral David Porter. Aboard the fifty-six warships that gathered New Inlet was an army unit of 6,500 infantrymen under the command of Maj. Gen. Benjamin F. Butler. The first attempt the Federals made to take the fort began on the night of December 23, when the powder ship Louisiana, with more than 215 tons of powder, was exploded within 200 yards of the fort. It was hoped that the blast from the vessel would create a gap in the earthen defense. After a lengthy delay, however, the ship finally exploded at 1:52 AM. doing no damage. For two days, December 24 and 25, Fort Fisher came under a heavy bombardment that did little destruction. During the afternoon on Christmas day, 2,000 troops under General Butler made an unopposed landing at Battery Anderson, 3 miles up the coast. Unable to advance upon the fort because of artillery fire, General Butler withdrew his troops. On December 27 the Federal vessels sailed north along the coast to Beaufort, North Carolina, having been unsuccessful in their initial effort to capture Fort Fisher. The Confederates were jubilant at having withstood the land attack of General Butler and the naval bombardment from Admiral Porter’s ships. General Bragg, not expecting a renewed attack from the Union forces, ordered Hoke’s 6,000 troops into Wilmington in preparation for a move against occupied New Bern. Disappointed with the failure of General Butler to take Fort Fisher, General U. S. Grant replaced Butler with Maj. Gen. Alfred H. Terry and ordered an additional 1,500 troops to ready themselves for a second attack on the fortification within the following weeks. The Federal fleet, then numbering warships mounting 627 guns, reassembled at Beaufort, and proceeded back to Fort Fisher. On the night of January, 12, 1865, the Federal fleet reappeared off Confederate Point. The following morning, the second attack on Fort Fisher commenced when the five ironclads began bombarding the land defenses. The rest of the fleet, which joined in the bombardment of the fort that continued day and night from the thirteenth to the fifteenth. More than 50,000 shells and roundshot were directed at Fort Fisher during this period-the heaviest shelling of any fort during the war. 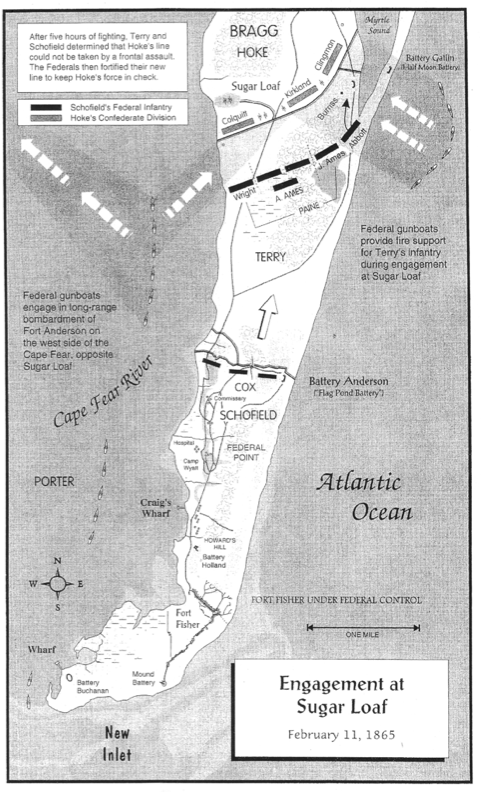 On January 14 Federal troops again landed above Fort Fisher, in the vicinity of Battery Anderson. There the infantry entrenched from the sea to the river and were supported by light artillery brought ashore. To prevent Gen. Braxton Bragg from arriving from Wilmington to enforce the fort, 4,700 men were placed along the entrenchment. The remaining 3,300 men under the command of General Terry moved against Fort Fisher. At the pre-arranged hour of 3:00 PM. on January 15, the assault began under a covering fire from the Federal vessels. In an effort to draw the fire away from General Terry’s troops, 400 marines and 1,600 sailors, landed near the fort the evening before and, armed with pistols and cutlasses, attacked the northeast bastion on the beach side. The main attack by General Terry and his men came along the river at the end battery. During the ensuing battle, General Whiting was mortally wounded and Colonel Lamb severely wounded. The Confederate survivors of the battle fled to Battery Buchanan in hopes of finding boats as a means of escape. The assault finally ended at 10 o’clock on the evening of January 15 when the last of the Confederate defenders, finding boats no longer there, could do nothing but surrender. Federal casualties had been costly, with nearly 1,300 men lost, but the expedition had finally been successful. The “last major stronghold of the confederacy” had fallen. Blockade-runners could no longer enter the safety of the Cape Fear River to unload at Wilmington, and in the following month even the city would be occupied by Union forces. 1974 “Fort Fisher State Historic Site Master Development Plan”. North Carolina Department of Natural and Economic Resources and North Carolina Department of Cultural Resources. 1896 “Defense of Fort Fisher, North Carolina” In Operation on The Atlantic Coast 1861-1865, Virginia 1862-1864. Vicksburg: Papers of The Military Historical Society of Massachusetts“, Vol. IX, 1912 Boston: The Military Historical Society of Massachusetts. 1968 “The North Carolina Gazetteer“. Chapel Hill: The University of North Carolina Press. 1992 “Chronicles of The Cape Fear River 1660-1916“. Second edition. Wilmington: Broadfoot Publishing Co. Originally published, Raleigh: Edwards & Broughton Printing Co., 1916. 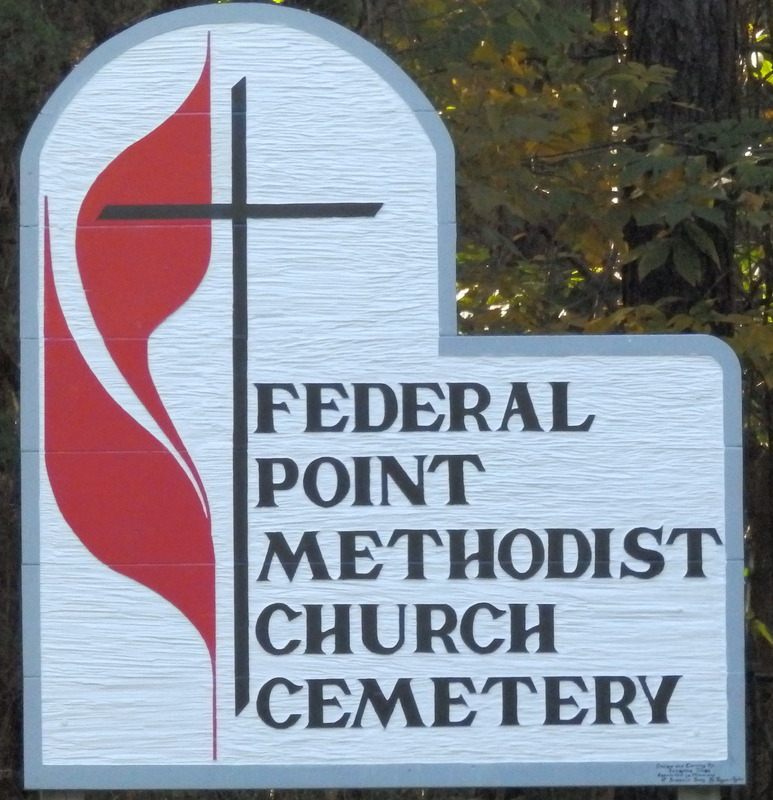 The Federal Point Historic Preservation Society will hold its monthly meeting on Monday, February 19, 2018 @ 7:30 PM at the Federal Point History Center, 1121-A North Lake Park Blvd., adjacent to Carolina Beach Town Hall. Our speaker this month will be Jim McKee from Brunswick Town – Fort Anderson. Jim will be speaking on the Wilmington Reserve Fleet which was one of eight National Defense Reserve Fleet’s (NDRF) anchorages established around the United States to store merchant vessels after World War II. 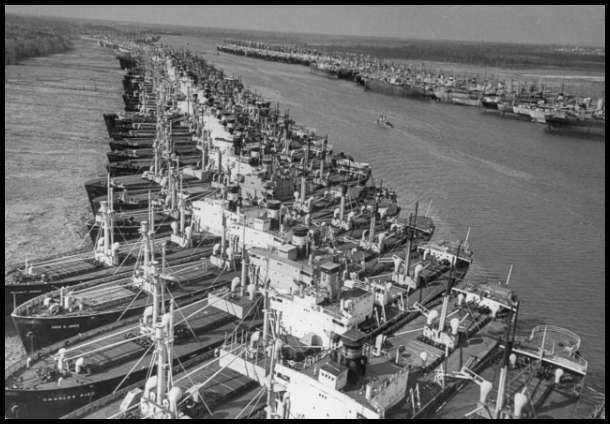 By 1951 the Wilmington Reserve Fleet was at full capacity, and was the second largest reserve fleet in the nation. There are thousands of people who still remember the ships moored in the Brunswick River, but have no idea why they were there or what their purpose was. Jim McKee is the site manager at Brunswick Town/Fort Anderson State Historic Site in Winnabow, NC. 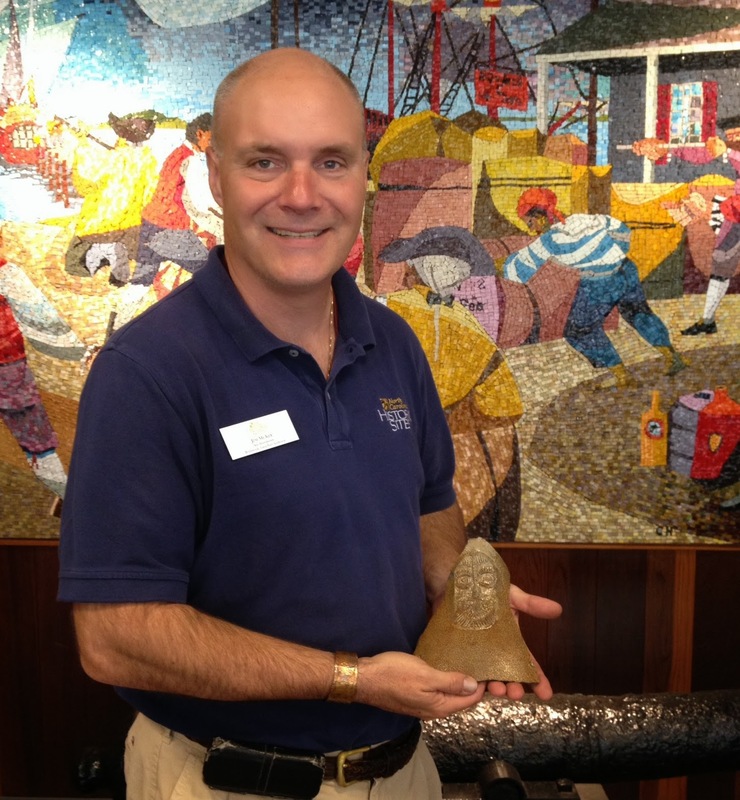 He graduated from Greensboro College, has his Master’s from Southern New Hampshire University, and has worked for the National Park Service and the North Carolina Maritime Museum at Southport. He has been researching the Wilmington Reserve Fleet since 2007. Masonboro Island is the largest undisturbed barrier island along the southern part of the North Carolina coast and is located approximately five miles southeast of Wilmington, in the most populous part of the North Carolina coast. The Masonboro site is bounded by the Atlantic Ocean to the east, the Atlantic Intracoastal Waterway to the west, Masonboro Inlet to the north, and Carolina Beach Inlet to the south. The Masonboro Island component is the largest site, at 5,653 acres, within the NCNERR system and was designated in 1991. Eighty-seven percent of the 8.4 mile long island is covered with marsh and tidal flats. The remaining portions are composed of beach uplands and dredge material islands. Masonboro Island is an essentially pristine barrier island and estuarine system. The various salinity patterns found in the extensive subtidal and intertidal areas along the sound side of the island support a myriad of estuarine species. The habitats found within this site include subtidal soft bottoms, tidal flats, hard surfaces, salt marshes, shrub thicket, maritime forest, dredge spoil areas, grasslands, ocean beach, and sand dunes. Loggerhead and green sea turtles nest on the beaches, where seabeach amaranth plants grow on the foredunes. 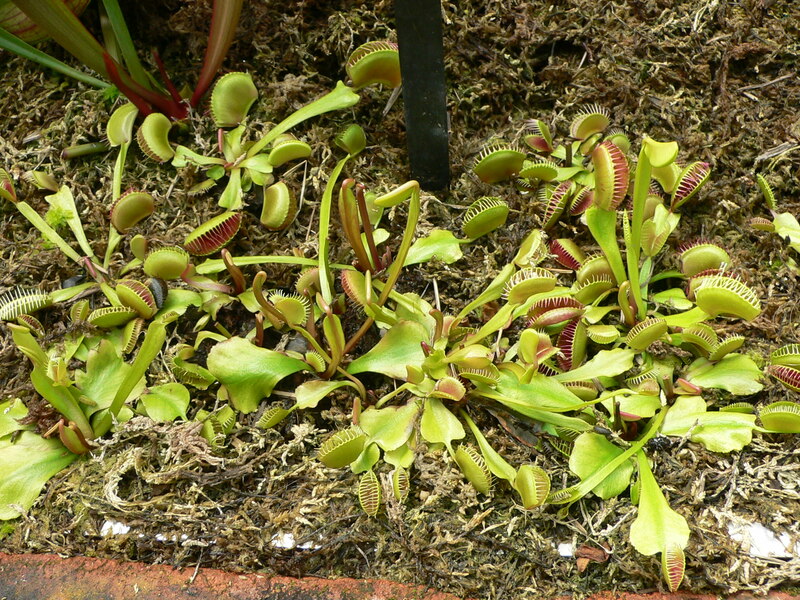 All of these species are listed as threatened by the Federal Government. Species of concern are the black skimmers, Wilson’s plovers, and least terns that nest on the island. Sound sediments are home to two state watch list species – Hartmans Echiurid and a polycheate worm in the genus Notomastus. The nutrient rich waters of Masonboro Sound are an important nursery area for spot, mullet, summer flounder, pompano, menhaden, and bluefish. 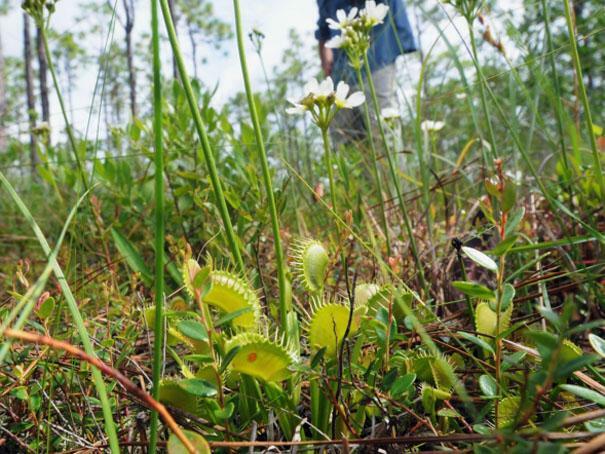 Island Reserve has more than 5,500 acres of natural barrier island habitat, estuary habitat and dredge spoil islands. Creation of the Reserve Masonboro Island was privately owned throughout most of the 20th century. Increased development pressure prompted early conservation efforts by local citizens with the creation of the Society of Masonboro Island and involvement of the N.C. Coastal Land Trust during the 1980s. Designation as the fourth component of the North Carolina National Estuarine Research Reserve occurred in 1991. Purpose of the Reserve This natural area is one of 10 sites that make up the North Carolina Coastal Reserve & National Estuarine Research Reserve. Preservation of the Masonboro Island Reserve allows this coastal ecosystem to be available as a natural outdoor laboratory where scientists, students and the general public can learn about coastal processes, functions and influences that shape and sustain the coastal area. Traditional recreational uses are allowed as long as they do not disturb the environment or organisms or interfere with research and educational activities. The Masonboro Island Reserve is managed through a federal-state partnership between NOAA and the N.C. Division of Coastal Management to protect the island’s ecosystems for research and education. The support of ongoing stewardship of the site by a community of partner organizations is gratefully acknowledged. This site is also a dedicated state nature preserve. The North Carolina Coastal Reserve & National Estuarine Research Reserve is part of the N.C. Division of Coastal Management, a division of the N.C. Department of Environment and Natural Resources. 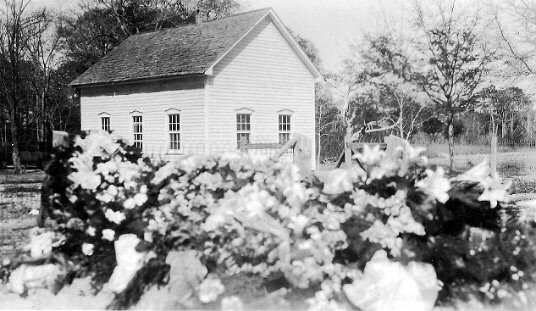 February 12, 1945: Construction of a new Presbyterian church in the downtown area of Carolina Beach was begun. The building materials had been ordered and work was to begin as soon as they arrived. 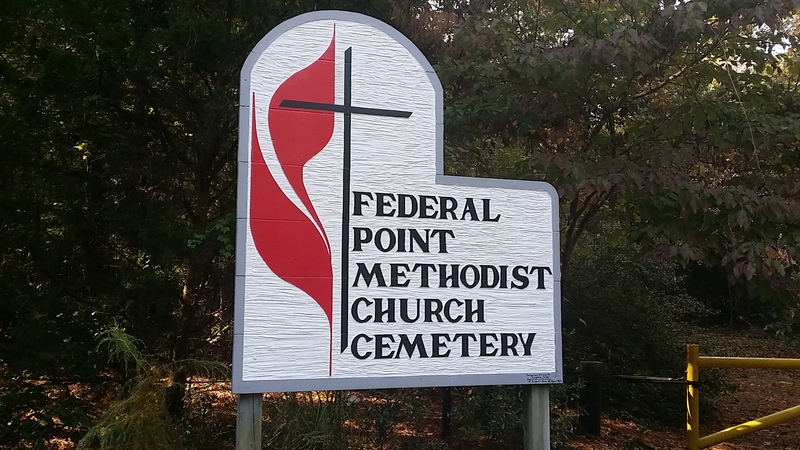 John McLeod, student at the Union Theological Seminary, Richmond, Va., preached for the Carolina Beach congregation in the Methodist Church building. WILM. STAR, 2-9-1945. April 4, 1947: A three-act dramatization of THE FIRST EASTER MORNING was presented by the Young Adult Class of St. Paul’s Methodist Church. The public was invited to this part of Carolina Beach’s pre-Easter observance program. Included in the cast were: O’Neill Johnson, Homer Craver, Mike Bame, Jack White, Ryder Lewis, Chevis Faircloth, Jimmy Busch, Ernest Bame, Bunny Hines, Glenn Eaker, Rachel Bame, Ellen White, William McDougald, Edwin Carter, Sallie Faircloth and Ruby Knox. 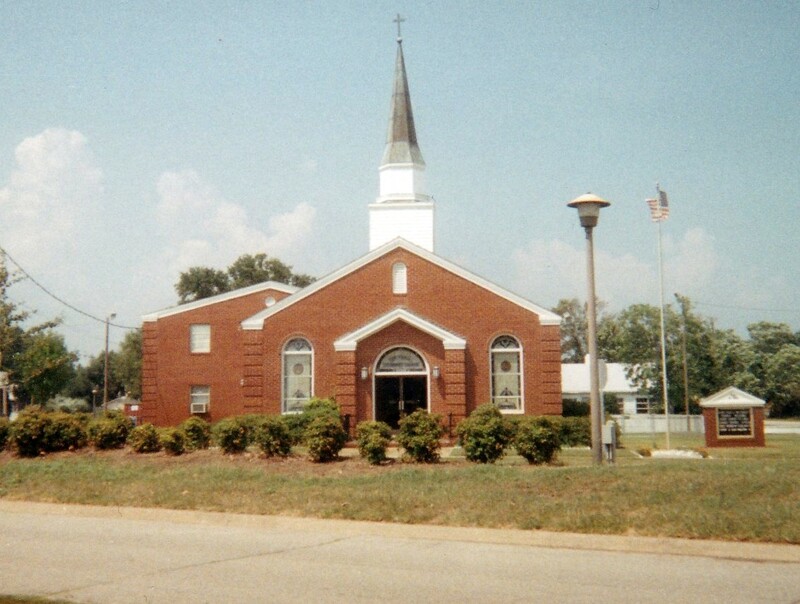 October 24, 1965: St. Paul’s Methodist Church held its 22nd Annual Homecoming with a former pastor, the Rev. W. M. Wells, Jr., as guest minister. During the past seven years, St. Paul’s had carried on an extensive modernization program. During this period it had erected a new sanctuary, educational building and parsonage. Claude Pfaff was born in September of 1892, in Pfafftown, Forsyth County, North Carolina. Of Moravian heritage, he spent his formative years playing in the Bethania Moravian Band. After attending Bethania High School, he earned his bachelor’s degree from the University of North Carolina at Chapel Hill (Class of 1918), during which he taught school at Mount Tabor as part of his matriculation. 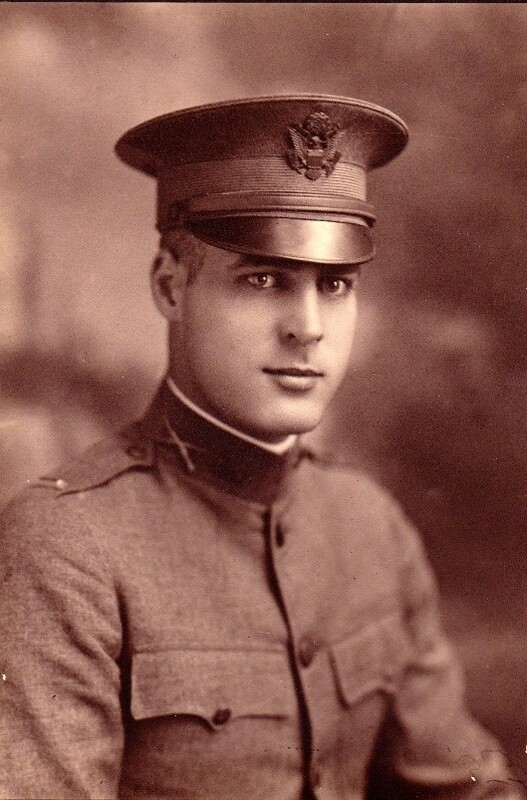 On April 6, 1917, the United States formally entered World War I. Pfaff, like most young men due to graduate that spring, knew that he was likely to be drafted into the American military as soon as he was no longer a student. When the University offered to waive all final exams for anyone who volunteered for military service, he joined the United States Army. Pfaff was sent to Camp Jackson, a major training and staging base established in 1917 near Columbia, South Carolina. Here, battalions were formed before being sent to join the fight in France. 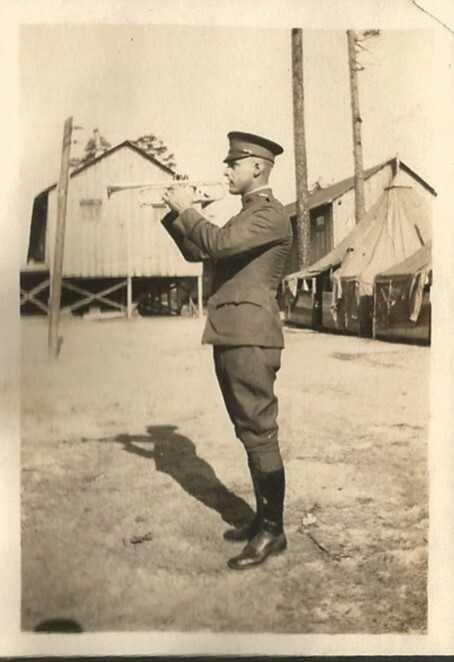 As band Sergeant assigned to the 156th Depot Brigade, Pfaff played bugle for military ceremonial occasions as well as morale-lifting events at locations such as the large base hospital, the Red Cross Convalescent Home, the YMCA Hostess House, and the Liberty Theater, which seated 3,600 soldiers. On September 26, he was transferred to Camp Sevier, Greenville, South Carolina, and in October, Pfaff was commissioned out of the ranks to Lieutenant. With the armistice signed on November 11, 1918 the military quickly demobilized and Pfaff was honorably discharged on November 30, 1918 as a Second Lieutenant. Pfaff returned to civilian life, working first for the Colonial Motor Company and then as a salesman for the Realty Bond Company in Winston-Salem. He married Atha Wolff of Tobaccoville, NC, in June of 1919, and they had two sons, Harry and Bob, and one daughter, Geraldine. 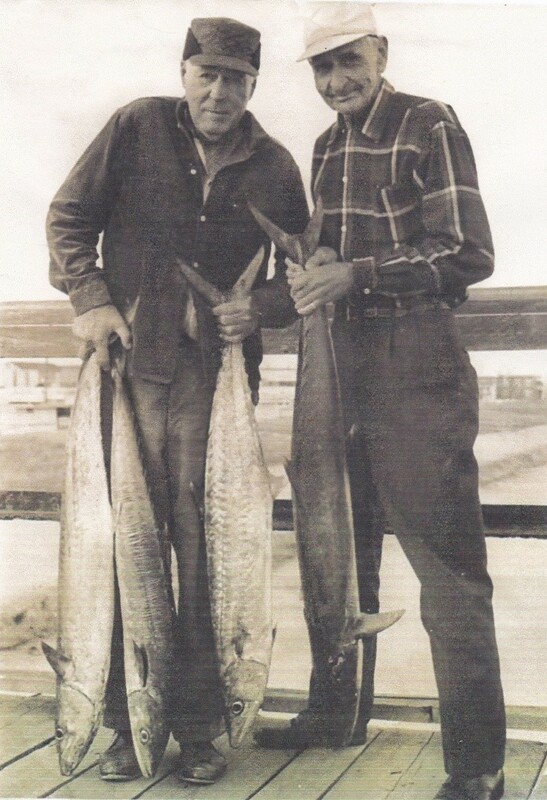 In later years Claude Pfaff worked as a retail coal dealer and then a dairy farmer before retiring to spend most of his time in Carolina Beach, fishing for king mackerel off the Fisherman’s Steel Pier. In the 1920s, when Pfaff was working for the Realty Bond Real Estate Company, the firm often sent its salesmen on vacation to Carolina Beach so that they would come back and tell their customers how wonderful the beach was – and, hopefully, sell more lots at Carolina Beach. In 1927, the grand Carolina Beach Hotel stood where the elementary school is today. Claude and Atha, who happened to be staying across the street one evening, sat on the porch and watched waiters mysteriously bring linens, silverware, and other valuables out of the hotel. The next night, as mysteriously, it burned to the ground. 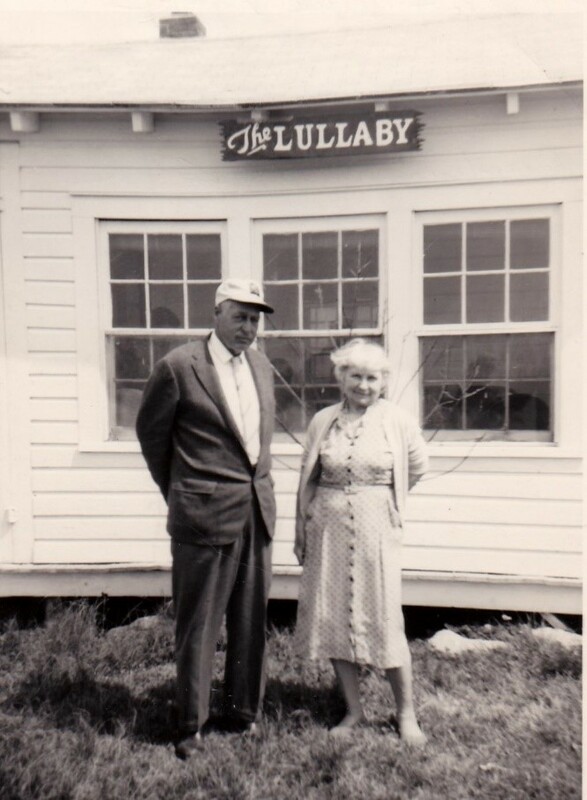 In the early 1930s, Claude built a cottage near Carolina Beach Lake as a birthday present for Atha, who named it “The Lullaby” for the choruses of frogs that sang around it at night. Gerri remembers that as soon as her school was out the family made the trip on Highway 421 from Winston to the beach and stayed the whole summer, until just before school began again in September. Often during WWII, the Pfaff family ended up sharing the small cottage with a family of strangers. Because of the shortage of housing in the Wilmington area, property owners were required to rent out their houses in order to provide the families of the enlisted men due to ship out soon a week at the beach before they were separated. Only office space was exempt, so Atha designated one room an office. In the 1960s, Claude and Atha retired from the dairy farm and spent from early spring to late fall at the cottage. Daughter Gerri says her father practically lived on the Fisherman Steel Pier, coming home only when his wife demanded he eat, and sleep at home. In those years, he became a member of the Carolina Beach Presbyterian Church and an active member in the life of the local community, often sitting on the benches of the boardwalk and people-watching while Atha played bingo. Claude died in November of 1983, and Atha in September of 1986. Gerri Cohen, their last surviving child, currently lives in Wilmington, but still uses the cottage in the summer, sharing it with an extended family of children, grandchildren and cousins. A member of the Federal Point Historic Preservation Society, she found out we were hoping to do an exhibit commemorating World War I and generously offered to lend us her father’s uniform for display. 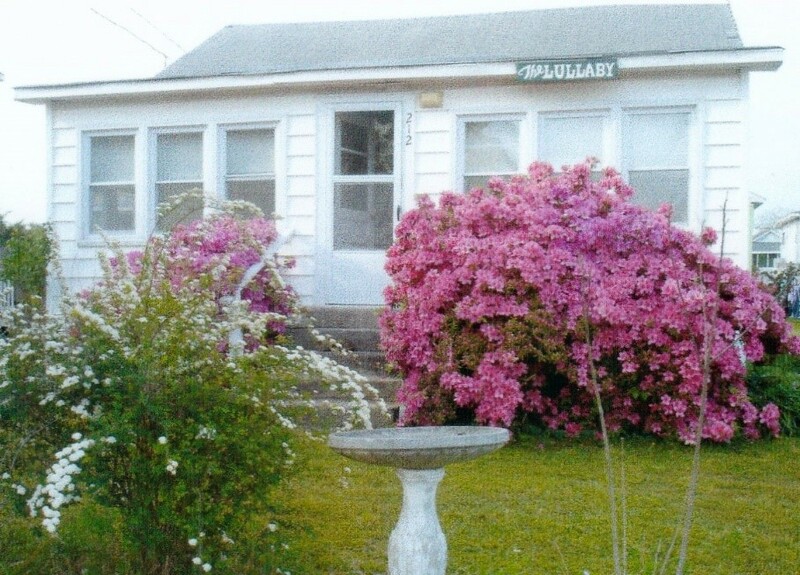 To this day, many of Claude Pfaff’s descendants vacation at Carolina Beach, coming from such diverse residences as New Hampshire, Oklahoma, Virginia, and Florida. While economic interests were tying the United States more closely to the Allied nations, organized propaganda was effectively used. Propaganda agencies, both of the Triple Entente and of the Central Powers, exerted themselves to the utmost to influence public opinion, but in this the Entente were far more successful. Above all, it was more successful because Great Britain, through control of the cables and strict censorship, was able to color the news that reached America. Honest, unbiased news largely disappeared from American papers after August, 1914. With this great advantage to start with, propaganda was adroitly pushed through weekly reviews of the war distributed to hundreds of newspapers, moving pictures, articles in newspapers and magazines (written when possible by sympathetic Americans), contacts with influential men in all professions, speeches, debates, and lectures by American citizens-in brief, by every known method of influencing public opinion. While the British talked of saving the world from barbarism and the French played up their contributions to American independence, famous men like James Bryce, highly respected in America, lent their names to the most incredible stories of German atrocities. Against the skillful Allied propaganda the blundering efforts of Germany to subsidize the American press and influence American opinion made little progress and were eventually utterly discredited when, in 1915, President Wilson demanded the recall of the Austrian ambassador, Dumba, and the German attaches, von Papen and Boy-Ed. These men had exceeded their official rights in pushing German interests in war time and were without doubt involved in plots to sabotage the production of munitions for the Allies. That the presentation of the Entente case was far more efficient than that of the German, there can be no question. This does not mean, however, that the United States was thus tricked into the war on one side. It undoubtedly helped to build up sympathy for the Entente Powers and hostility toward Germany, but the continual blunders in the policy of the Central Powers were quite sufficient to accomplish that without other aid. Furthermore, the traditions and culture of the American people were largely based on those of Great Britain; language, literature, and legal and constitutional institutions stemmed from the British Isles. If this country was to enter the war at all – and there were many influences that appeared to be driving her inevitably into that course – the choice she made as to sides was the natural one. Most Americans felt very definitely that they were fighting on the side of civilization and liberal institutions, an attitude enunciated by leaders in all walks of life and an attitude effectively and repeatedly expressed by Woodrow Wilson.